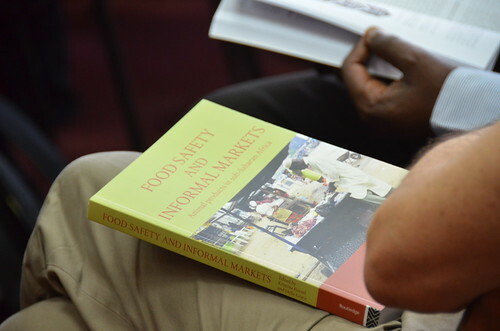 We are pleased to announce that the book, Food Safety and Informal Markets: Animal Products in Sub-Saharan Africa, edited by Kristina Roesel and Delia Grace of the International Livestock Research Institute (ILRI), is now freely available online as an open access resource. The book was published in October 2014 and officially launched in January 2015. It highlights key messages of the ILRI-led Safe Food, Fair Food project (2008-2011) and 25 proof-of-concept studies on the safety of milk, meat and fish in eight countries across sub-Saharan Africa. The project was funded by the German Ministry for Economic Cooperation and Development and implemented by local partners and students. Access the PDF version of the book.